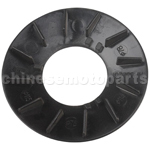 F038-001 Fan Blade for GY6 125cc-150cc Moped. The item fits for GY6 125cc-150cc Engine. Please check with what I offer to confirm if the one you need. Any questions,please feel free to email us. 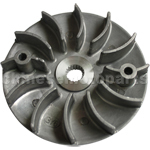 F038-010 Fan Blade for GY6 50cc Moped. The items fit for GY6 50cc Engine. We assure you the best quality and customer service. Any questions,please email us.